With significantly improved fuel efficiency for a midsize automatic-equipped sedan, the 2013 Accord 4-cylinder can save you money at the pump. Even though the 2013 Accord has more equipment and features than ever before, and it has a new 4-cylinder engine with more horsepower and considerably more torque than the engine it replaces, the vehicle is substantially more fuel-efficient. 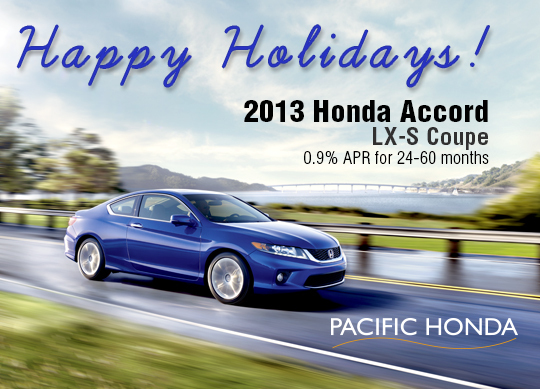 Stop by and see us today at Pacific Honda to check out the amazing 2013 Honda Accord.